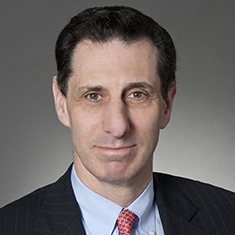 James J. Calder is co-head of the firm's Antitrust and Competition practice. His practice focuses on mergers and acquisitions, litigation, counseling and responding to government antitrust investigations. He handles matters involving price fixing, market allocation, group boycotts and other horizontal restraints; monopolization, intellectual property licensing and other intellectual property issues; industry-wide standard setting efforts; vertical restraints; distribution issues and Robinson-Patman Act problems. He represents parties to US and cross-border mergers and acquisitions and has done so in hundreds of transactions. His M&A work includes substantive antitrust merger analysis, Hart-Scott-Rodino and foreign merger clearance compliance, defending merger investigations and negotiating resolutions in contested merger situations. He also represents parties before the Committee on Foreign Investment in the United States in acquisitions by foreign buyers of US businesses. His antitrust work also includes the structuring and operation of domestic and international joint ventures and other collaborative efforts among competitors. James has represented clients in more than 50 industries, including apparel, athletic equipment, aviation, banking, beer, builders hardware, chemicals, computer chip production, computer hardware and software, computer video games, consumer electronics, credit cards, education, electrical carbon products, fertilizer additives, fine art dealing, franchising, freight forwarding and logistics, health care and hospitals, industrial laundry and linen supply, insurance, medical devices, military electronics, milk, motion pictures, music publishing, newspapers, parking facility management, pharmaceuticals, radio, recorded music, reinsurance, securities trading, soft drinks, textile machinery and television. In addition to traditional antitrust matters, James advises and represents clients on matters involving deceptive practices, misleading advertising, consumer protection and competitive tort issues. Shown below is a selection of James’s engagements. Firm Represents Earle M. Jorgensen Company in $934 Million Proposed Acquisition by Reliance Steel & Aluminum Co.